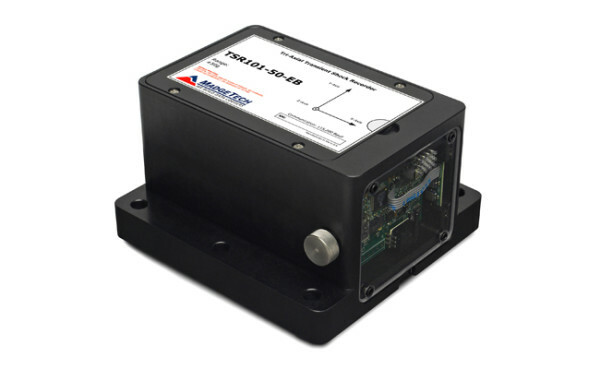 Stand Alone, Tri-Axial Transient Shock Data Logger with Extended Battery Life. Measures and Records Data of instantaneous shock levels when user selectable shock limits have been exceeded. SKU: TSR101-5-EB. 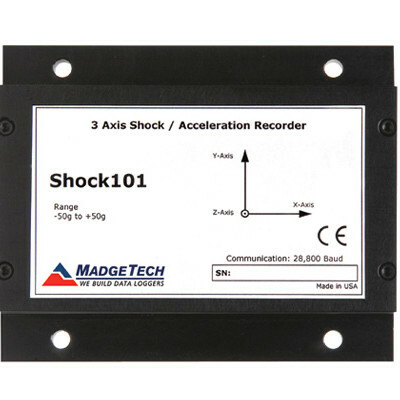 Category: Shock Data Loggers. 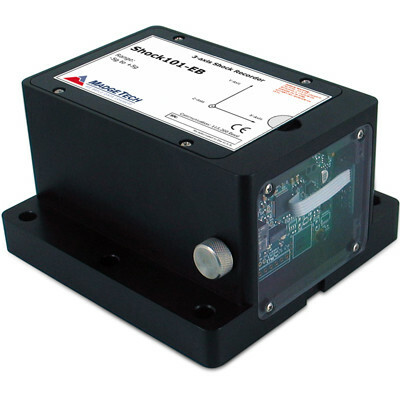 The TSR101-EB is a battery powered, stand alone transient tri-axial shock data logger. 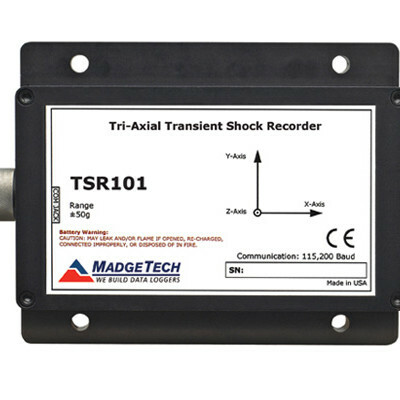 The TSR101-EB measures and records data of instantaneous shock levels when the user-selectable shock levels have been exceeded. There are 15 rates to choose from ranging from 1024 Hz to 1 Hz. The TSR101-EB is valuable in characterizing environments such as railcar coupling impacts and aircraft turbulence monitoring. This is an all-in-one compact, portable, easy to use device that will measure and record data for approximately 349,000 measurements per axis. The storage medium is non-volatile solid state memory, providing maximum data security even if the battery becomes discharged. The device can be started and stopped directly from your computer and its small size allows it to fit almost anywhere. 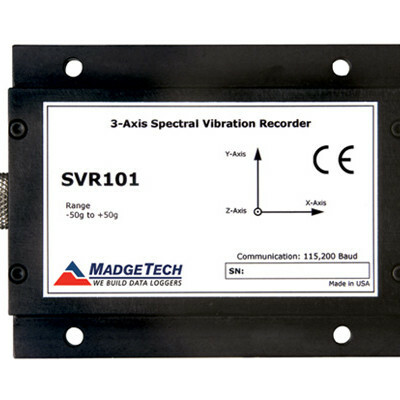 The TSR101-EB makes data retrieval quick and easy. Simply plug it into an empty USB port and our user-friendly software does the rest. The device is available in four ranges ±5 g, ±50 g, ±100 g and ±250 g.